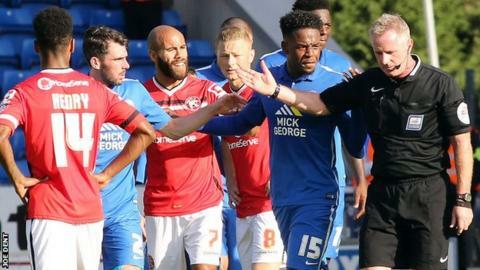 Peterborough United's appeal against Jermaine Anderson's red card for throwing a drinks bottle into the crowd during Saturday's 1-1 draw against Walsall has been rejected. The 19-year-old saw red in the 84th minute of the League One match after fourth official Rob Smith told referee Mark Heywood about the incident. The England youth international later claimed that it was accidental. But he will now serve a three-match suspension for his actions.